Mensusa https://www.mensusa.com/articles/mens-fedora-hats-because-everyone-deserves-a-crown.html Mens Fedora Hats- Because Everyone Deserves A Crown Mens fedora hats, is a prime example of the result of mixing fashion with functionality. Besides making anyone look dapper and debonair in an instant, fedora hats also protect its wearer from the grinding effects of wind and weather. Mens fedora hats made way into mainstream fashion not very long ago, when it began to be sported by celebrities and talent show contestants, among many to mention. Light, neat, comfortable, all-around, and it's one-size-fits-all design made a mark for fedora hats among the general population fairly quickly. Named "fedora" first in 1891, these hats have been around several pages of history as well as having various pop culture references. Women also have come to adopt the fedora hat as a symbol of women's rights movements, while Orthodox Jews wear black fedora hats as a part of their daily wear. 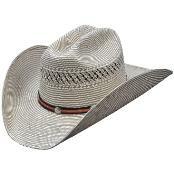 The fedora hat, especially mens fedora hats, is a prime example of the result of mixing fashion with functionality. Besides making anyone look dapper and debonair in an instant, fedora hats also protect its wearer from the grinding effects of wind and weather. What a more interesting way to flaunt your style while being cool and comfortable at the same time. What's more, woolen fedora hats are loved during winter too! How many fashion statements can endure both seasons? Not many! Where to get men's fedora hats. 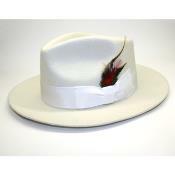 This beloved hat has no dearth of availability anywhere, whether it is online stores or at malls. With numerous colors, styles, fabrics and material to choose from you are very likely to make more than one purchase! One of the best ways to get cool fedora hats is by street shopping in any of the summery tourist destinations. Bargains and deals are easily made, and you might get them much cheaper than online or in shopping centers. While you can get many different kinds of fedora hats in the market, and fads go as fast as they arrive, it is understood that investing in a professionally-made fedora hat makes it count way more than any passing trend. If you are particular about your likes and know that you deserve nice things in life, an original is always preferable over a knock-off. Do not feel pressured to buy a piece that doesn't speak to you. As with many things in life, if you feel connected with something, you can surely carry it off. Or else, something will always feel off. Wide brimmed or narrow brimmed, canvas or wool, grey or beige, all depends on what your personal style prefers. Explore, experiment and try out several combinations before trying out one or maybe several! 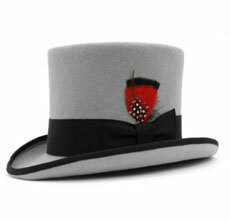 Fedora hats up your cool factor, down the drabness and add a spring in your step. Be it summer, winter or fall, fedora hats always find a way to fit in. they rule as modern-day crowns that everyone can happily get accustomed to, and to quote an old term that has made a recent comeback, make the wearer look fly as heck! Go out, grab a bunch of fedoras and try them on! If this is your first venture with hats, it's promising to be a fun one!